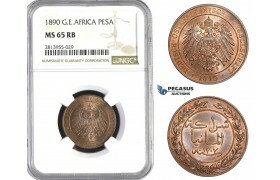 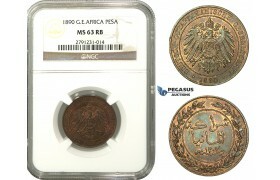 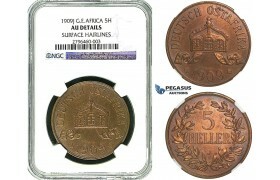 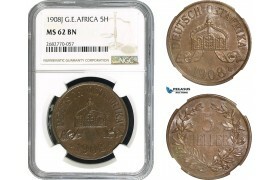 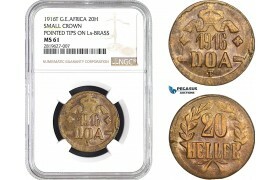 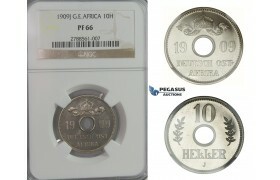 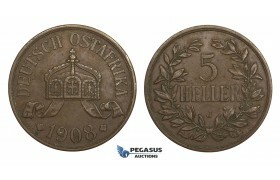 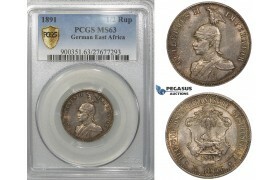 AA399, German East Africa, Pesa 1890, Berlin, NGC MS65RB ..
AA540, German East Africa (DOA) 5 Heller 1908-J, Hamburg, VF-XF ..
AA682, German East Africa (DOA) 20 Heller 1916-T, Tabora, Small Crown, Pointed Tips on L's, NGC ..
AA942, German East Africa (DOA) 1 Heller 1912-J, Hamburg, NGC MS64BN ..
AA943, German East Africa (DOA) 20 Heller 1916-T, Tabora, NGC MS63BN ..
AB097, German East Africa (DOA) 20 Heller 1916-T, Tabora, Brass, UNC (Corrosion spots) ..
AB098, German East Africa (DOA) Wilhelm II, 1/2 Rupie 1913 A, Berlin, Silver, Toned VF-XF (Few Edge ..
AB099, German East Africa (DOA) Wilhelm II, 1 Rupie 1904 A, Berlin, Silver, Toned VF-XF (Corrosion) ..
AB475, German East Africa (DOA) Pesa 1891, Berlin, NGC MS63RB ..
AB690, German East Africa (DOA) 20 Heller 1916-T, Tabora, NGC MS61BN ..
AC104, German East Africa (DOA) 20 Heller 1916-T, Tabora, Lustrous UNC (Scratched) ..
AC292, Germany (Military) East Prussia, 2 Kopeks 1916-J, Hamburg, NGC MS63 ..
AC294, German East Africa, Wilhelm II, 5 Heller 1908-J, Hamburg, NGC MS62 ..
AC295, German East Africa, Wilhelm II, 1/4 Rupie 1891, Berlin, Silver, PCGS MS63+ ..
AC296, German East Africa, Wilhelm II, 1 Rupie 1890, Berlin, Silver, PCGS MS63+ ..
AC811, German East Africa (DOA) 1/2 Heller 1904-A, Berlin, NGC MS64RB ..
AC812, German East Africa (DOA) Pesa 1891, Berlin, NGC MS66RD ..
D05, German East Africa (DOA) 10 Heller 1909-J (Hamburg) NGC PF66 (Pop 1/2) ..
I45, German East Africa (DOA) Wilhelm II, 1/4 Rupie 1914-J, Hamburg, Silver, NGC MS65 (Pop 1/1) Rare! 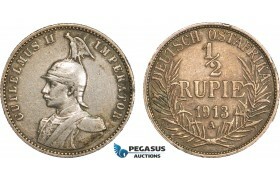 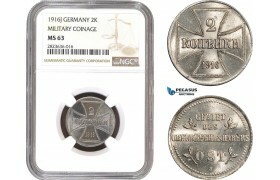 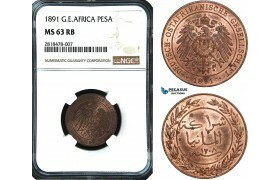 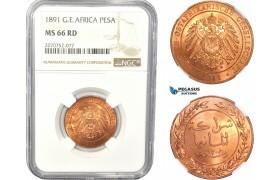 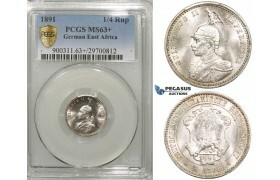 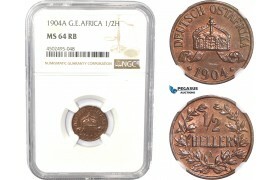 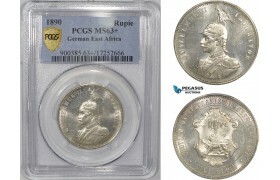 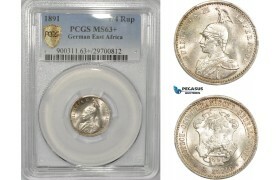 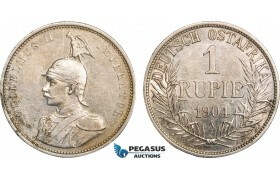 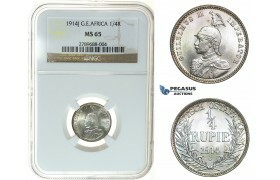 I45, German East Africa (DOA) Wilhelm II, 1/4 Rupie 1914-J, Hamburg, Silver, NGC MS65 (Pop 1/1) Rare..
M10, German East Africa (DOA) Pesa 1890, NGC MS63RB ..
R494, German East Africa (DOA) 5 Heller 1909-J, Hamburg, NGC AU ..
S20, German East Africa (DOA) Wilhelm II, 1 Heller 1913-A, Berlin, NGC PF65RD (Pop 1/1, Finest, First to be graded as a Proof) Very Rare! 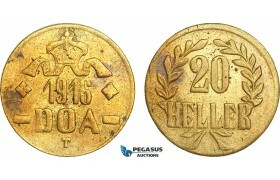 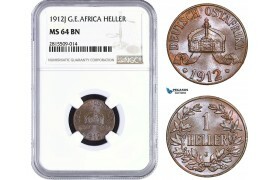 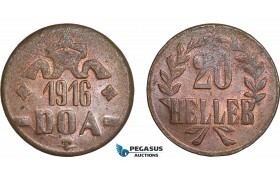 S20, German East Africa (DOA) Wilhelm II, 1 Heller 1913-A, Berlin, NGC PF65RD (Pop 1/1, Finest, Firs..
S21, German East Africa (DOA) Pesa 1890, NGC MS64BN ..
S22, German East Africa (DOA) 20 Heller 1916-T, Tabora, Copper, NGC MS62BN ..
ZF42, German East Africa (DOA) Wilhelm II, 1/4 Rupie 1891, Silver, PCGS MS63+ ..
ZF43, German East Africa (DOA) Wilhelm II, 1/2 Rupie 1891, Silver, PCGS MS63 ..
ZM815, German East Africa (DOA) 20 Heller 1916-T, Tabora, NGC MS62BN ..